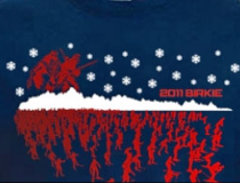 Winner of the 2019 Birkie T-Shirt Design Contest! for his winning design in the 2019 T-shirt Design Contest. 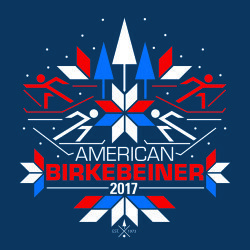 All contest participants must sign and return the last page of the form with your T-shirt design submission to the American Birkebeiner Ski Foundation. Submit as Many Designs as You Like! 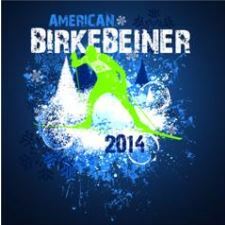 The top five T-shirt designs will be picked by a panel of judges assigned by the American Birkebeiner Ski Foundation (ABSF). 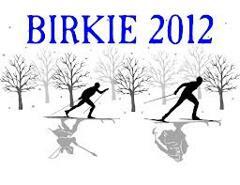 These top designs will then be posted on www.birkie.com for online voting by the skiing community and the public. The ultimate winner will be determined through this online voting process. Once submitted, all designs become the property of the ABSF, and the designer agrees to grant exclusive use to the ABSF and its clothing retailer. The designer must submit his or her own original artwork only. 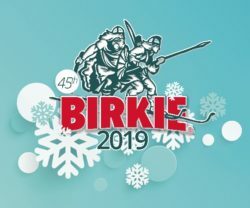 Any non-original logos, photos, or images used in the design must be used only with the express, written permission of the source and also grant the American Birkebeiner unlimited, free use of that logo, photo, or image. One pair of Fischer RCS skate or classic skis. 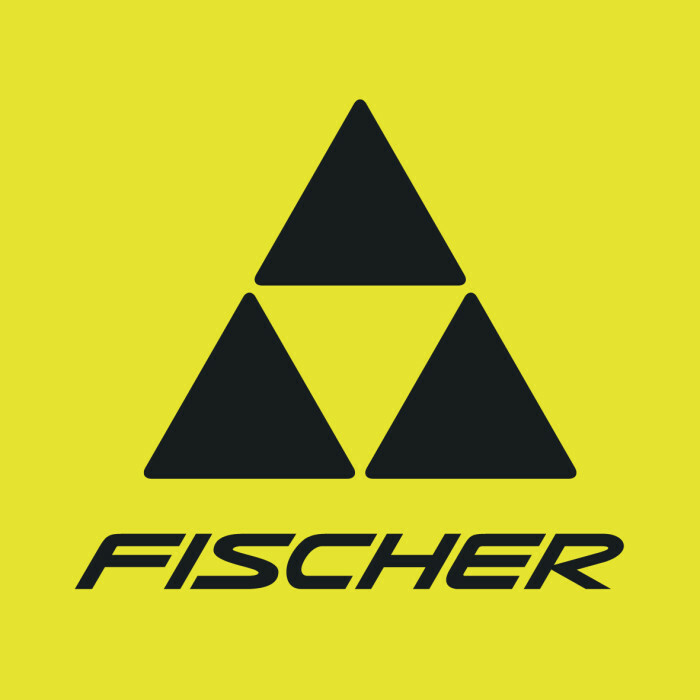 You will be custom fitted for and pick up these skis provided by Fischer at New Moon Ski & Bike Shop in Hayward, Wisconsin. 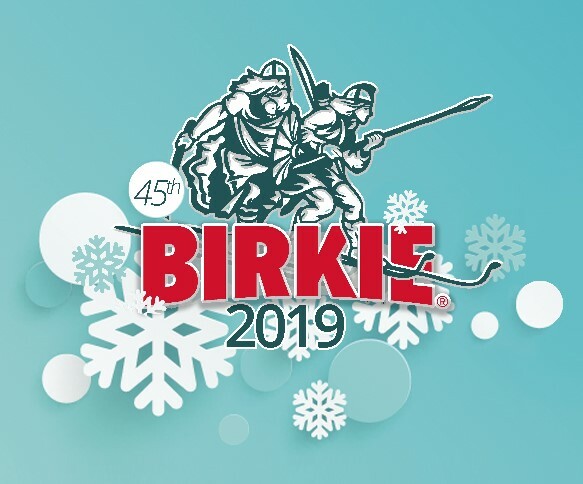 Recognition of the designer by the ABSF in the 2018 issue of the Birkie’s “Birch Scroll” magazine, in the Birkie “@BirchScroll” ezine, in a Birkie press release, etc. One free t-shirt with your winning design! 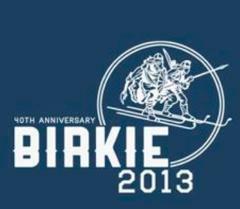 T-shirt designs must be submitted by July 1, 2018 to the ABSF via email to birkie@birkie.com. Please use “2019 T-shirt Contest Design Submission” as your subject line. The ABSF reserves the right to reject any and all submissions. The ABSF may pick additional T-shirt designs for use on additional promotional materials (i.e. clothing, retail items, web, or print pieces). 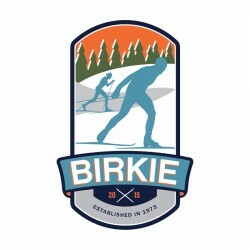 All designs must include “2019” and one or more of the following words/phrases: “Birkie,” “Birkebeiner,” or “American Birkebeiner.” Designs may also include “Established in 1973.” Designs may also include the Slumberland/Birkie logo (below). 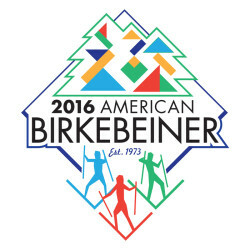 Slumberland is the overall Title Sponsor of the American Birkebeiner Ski Events. Designs must be limited to a maximum of four colors. Half-tones (i.e. lighter versions) of any of the four colors are acceptable and are not considered an additional color. Designs must be accompanied by the signed waiver found on the official rules & waiver link. The ABSF reserves the right to request minor revisions to a T-shirt design entry for re-submission. The ABSF may also make revisions to adapt a T-shirt design for additional purposes, including but not limited to use on other clothing, retail items, web, print, or television production. 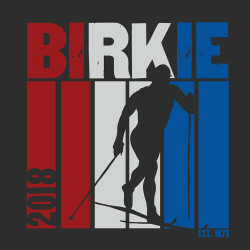 Please email your design as a JPG file for purposes of initial judging and for posting the top designs on Birkie.com for online voting. If your design wins, please be prepared to send your design to the ABSF in Vector format (.EPS, .AI, or .CDR file extensions). This means that the design must be created in either PhotoShop (.EPS), Adobe Illustrator (.AI), or Corel Draw (.CDR). The ABSF will NOT accept Word or Publisher files.